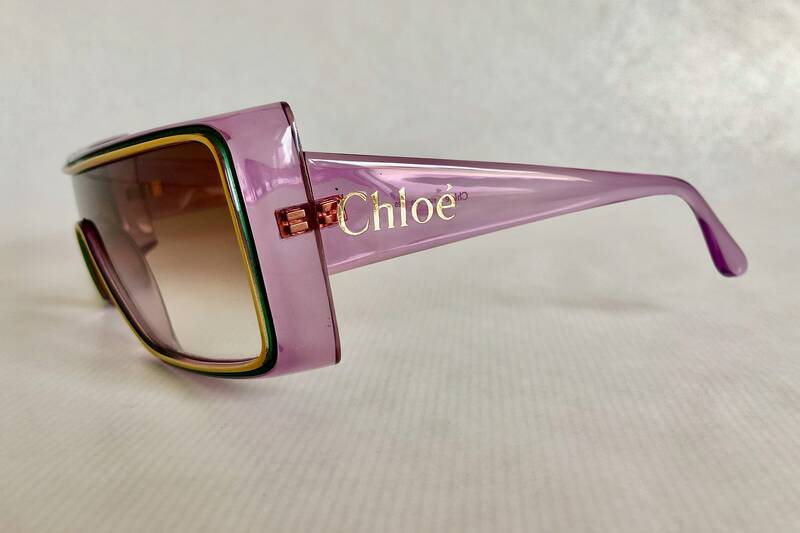 Designed by Stella Mc Cartney for Chloé. Made in Italy in 1997. 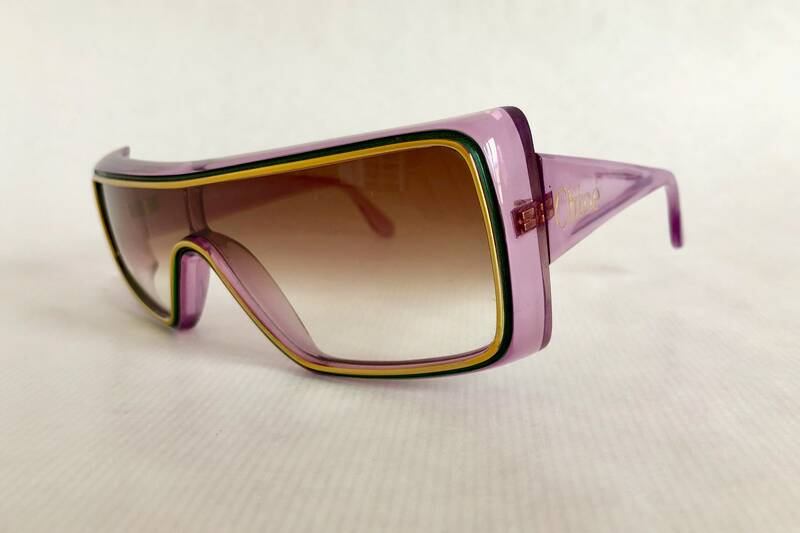 An obvious homage to Cari Zalloni's Cazal 858, Stella Mc Cartney's Chloé 89S takes the iconic asymmetric frame style even further. 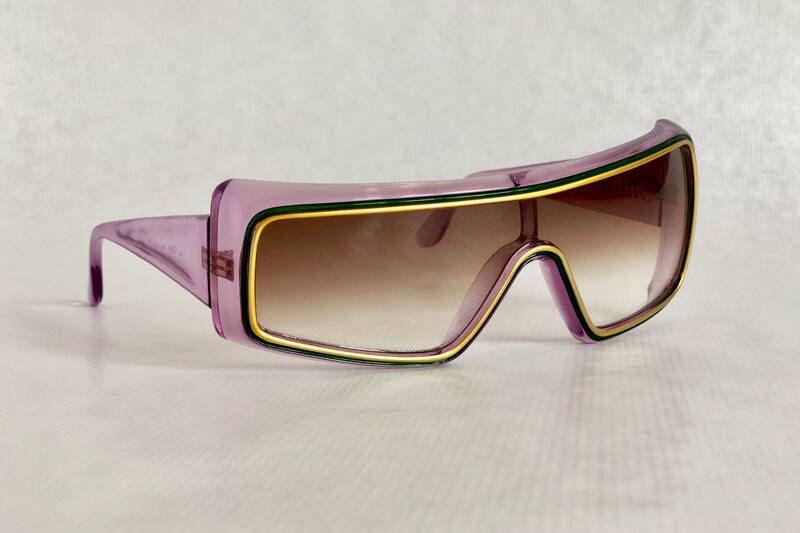 The movement of the front is incredibly bold and dynamic, making it one of the most notable and beautiful eyewear designs of the late 1990s. At only 25 years old, the Beatles' daughter Stella McCartney started her career by replacing Karl Lagerfeld as creative director of Chloé. 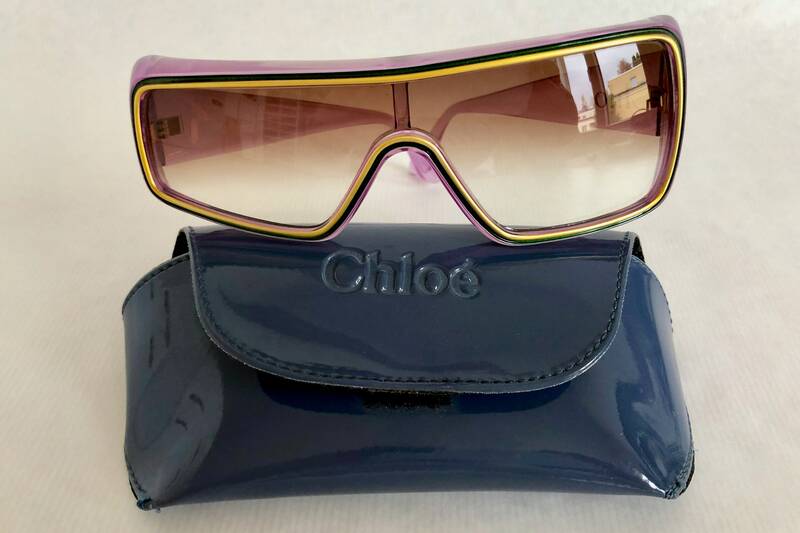 Her homage to early Hip Hop fashion in the 1997 collection with the Chloé 89S frame was way ahead of its time and established her as an avant-garde fashion creator until this day. 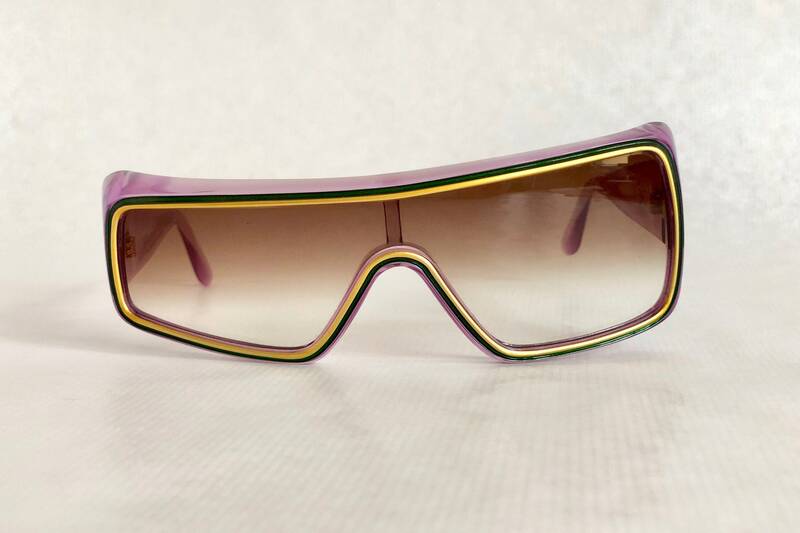 Today, with the collaboration of Gucci's Alessandro Michele with Harlem's fashion king Dapper Dan, Mc Cartney's early homage to Cari Zalloni comes full circle. 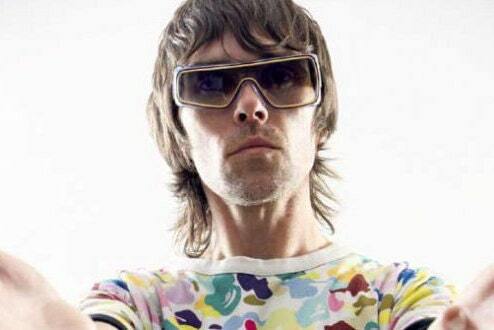 Famously worn by Ian Brown of the Stone Roses. Lens: Original brown gradient shield with 100% UV Protection and removable sticker. 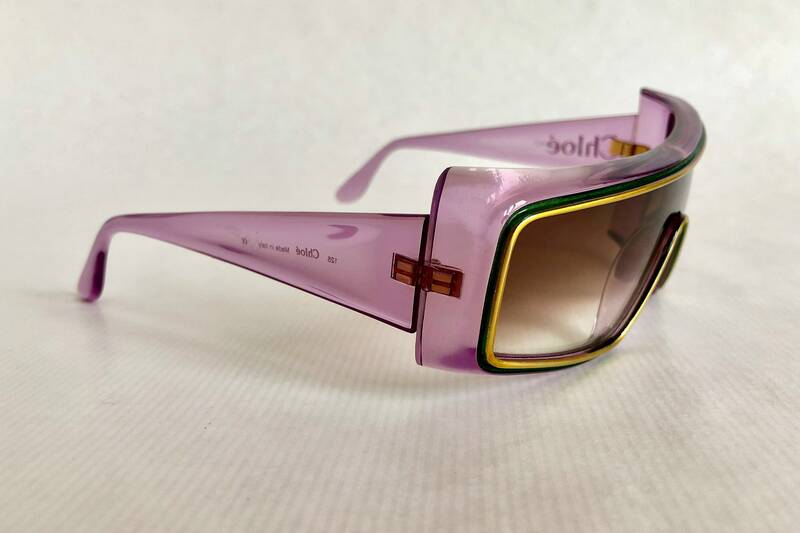 Frame: Lilac with gold and green line around the lens.